Terry Ingram, The Australian financial review , 'Whiteley work bound for NSW', pg. 45, Sydney, 30 May 1996, 45. 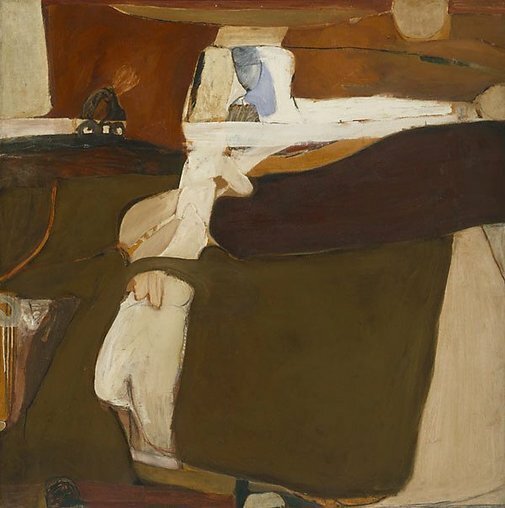 Barry Pearce, Australian painters of the twentieth century , Brett Whiteley', pg. 232-243, Sydney, 2000, 234 (colour illus. ), 235. Barry Pearce, Australian art: in the Art Gallery of New South Wales , 'Landscape and gesture', pg. 239-240, Sydney, 2000, 247 (colour illus. ), 302. Barry Pearce, Look , 'Genesis of a Painter: the early abstractions of Brett Whiteley [1939-92]', pg. 20-21, Heidelberg, Sep 1998, 20 (colour illus.). Carles S. Spencer, The Studio , 'The Peter Stuyvesant Collection: Paintings while you work', pg. 18-21, London, Jan 1963, 21 (illus.). 9 Shades of Whiteley , '2: Abstraction', pg. 17, Sydney, 2008, 3, 16 (colour illus. ), 17.